Whether you are interviewing for an Internship or a Vice President position, you should assume there is stiff competition for the role. Prepare for your interview as if you are an underdog. Assume it is going to be a close race, and do the small things that can differentiate you from the other applicants. Count on the fact that an interview is a personality contest; the small things you do add up and can put you ahead of the competition. Small Thing #1 – Confirm each meeting! 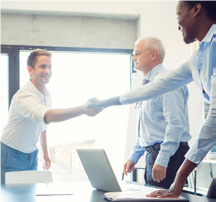 Confirm the interview, don’t just show up at the agreed time. Send an email confirmation two days before the interview, and call the day of the interview to let them know you are looking forward to the meeting. Your email can ask what you should bring to the interview. Only a minority of candidates confirm their interviews. Our recommendation is to get the name of the person you will be interviewing with and confirm to the manager who you will report to not just the Human Resources recruiter. It is the manager and your boss who needs to hear how diligent you are. Invisible Communication #2 – Print and highlight a page from their website! Prepare the night before by printing something newsworthy or intriguing from the company’s web site. Use a bright colored highlighter to focus on the interesting parts. Bring this printed page with you. When you sit down at the beginning of the interview, open your binder and pull out your resume and the highlighted web site printout. Offer the interviewer a copy of the resume, but don’t hand them the web page printout. Instead, simply lay the web page on the table or someplace in view. You don’t need to say a thing. They will see you have done research on their company. Not all interviewers ask what you know about the company. You want to let them know you did your research whether they ask or not. Invisible Communication #3 – Prepare and ask killer questions! In all interviews you will be asked, “Do you have any questions?” When asked, pull out a list of typewritten questions prepared specifically for this interview. Your intent is to send the invisible message that you prepare for your meetings. You have taken extra time to write out your questions, rather than just asking them verbally. Your questions should be designed to impress and surprise your interviewer with the depth of your thoughts. For a list of questions to ask See “Killer Questions to Ask in an Interview,” and ask your recruiter to coach you through your interview process. Preparing killer questions is likely the number one, most important thing a candidate can do to win an offer. Put your head in a ‘success state’ #4 -Scout the company! Don’t be late! Prepare mentally! Before the day of your interview, drive to the company and locate where you will park. Note how long it took, and factor in traffic for the time of day you arrive. On interview day, plan on showing up 15 minutes early to sit in your car. That decompression time is priceless. Use those minutes before you go in to envision yourself confidently greeting people and answering their interview questions. Breathe deeply and get ready to perform. The last thing you want to do is be late. If you are rushing to get there you will throw off your brain chemistry and diminish your chance of success. To put your brain in a chemical state to succeed in an interview, see “Amy Cuddy Video” on our resources page. If the company is in a large office building or complex, park and walk to the lobby on your scouting trip before the interview. Find the building you will enter, the entrance door you will use, and even the elevators you will take. Discover if there is a guard or sign-in process necessary to enter. Make sure you bring your driver’s license. Healthcare, financial, and government related companies all require picture identification to let you in. Running late is a killer during the interview process and inexcusable. Get ready for the big scary question #5 – How to answer the salary question? When asked, “What salary you are looking for?” simply state that money is important because you have bills to pay, but money isn’t everything. What is more important to you is to join a good company that rewards contribution and hard work and a team that works well together. Money and success should follow. After saying that ask, “What does the position pay?” The idea is to not simply state a number before understanding what they are willing to pay. If you state your number first and come in under what they would pay, you risk leaving money on the table. If you overstate what they are prepared to pay, you may knock yourself out of the race. If you are pushed to tell them what you are making, our suggestion is to not state a base pay or specific number. Rather, tell them a broader range that includes a total package amount. For instance, if you are getting paid $50,000 per year and your bonus and benefits are worth another $8,500, you could say, “I make just under $60,000.” Or “My package has me in the high $50’s.” Recognize that when you are asked how much you make, you are entering negotiations. In negotiations, it is best to get the other side to state their number first. And when asked to state yours, start at the higher end of your range and use broad numbers instead of specific amounts. If possible, refrain from stating your specific base pay amount because this will give them a lower number to base their offer on. When asked to give your existing pay, you must be honest but start as high as you the truth allows. Follow Up Notes #6 – Send two, get specific and personal! Most every good candidate follows up after an interview. Make sure you get business cards for all of the people you meet. If you cannot get a card, make sure to write down the proper spelling of their names and emails. Follow up with an email immediately after the interview. 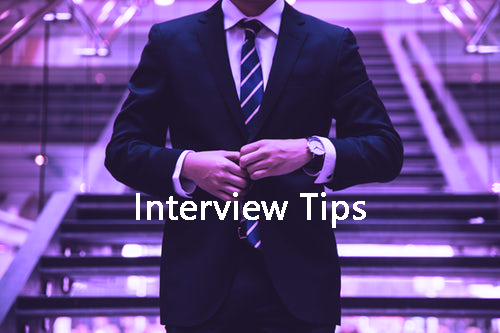 Add specifics about what you saw in the interview that peaked your interest, and what appealed to you about the team and the person you would be reporting to. Tell them your wheels are already turning about how to do this job well. Let them know you would be willing to put off other opportunities if this comes through. Tell them this is the type of company you have dreamed of, and that you can imagine yourself as a productive member of the team. The next day, write a hand written follow up and mail it. This one can be less detailed. Simply let them know you appreciate their time and consideration and you hope to hear from them soon. Write your cell phone on it and invite them to give you a call if they have any questions. THESE THINGS WILL ADD UP AND HELP YOU LOOK BETTER THAN THE COMPETITION. GOOD LUCK!